I recently joined the board of the Academy of Scoring Arts, a Los Angeles-based organization which works to advance the creative and technical process of scoring visual media by bringing together composers, filmmakers, audio engineers, and musicians to share knowledge through the production of educational programs and community events. 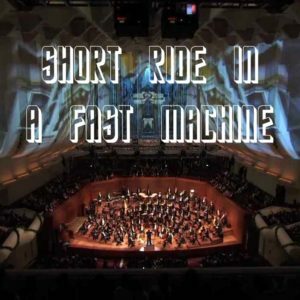 At our last monthly LA Ravel orchestration study, I led a discussion on the modern classic Short Ride in a Fast Machine, by American composer John Adams. In the course of our interactive discussion, we looked at a deconstruction of a passage from the piece, which demonstrates unique ways in which Adams created the orchestration for this piece, which is typical of his earlier works.